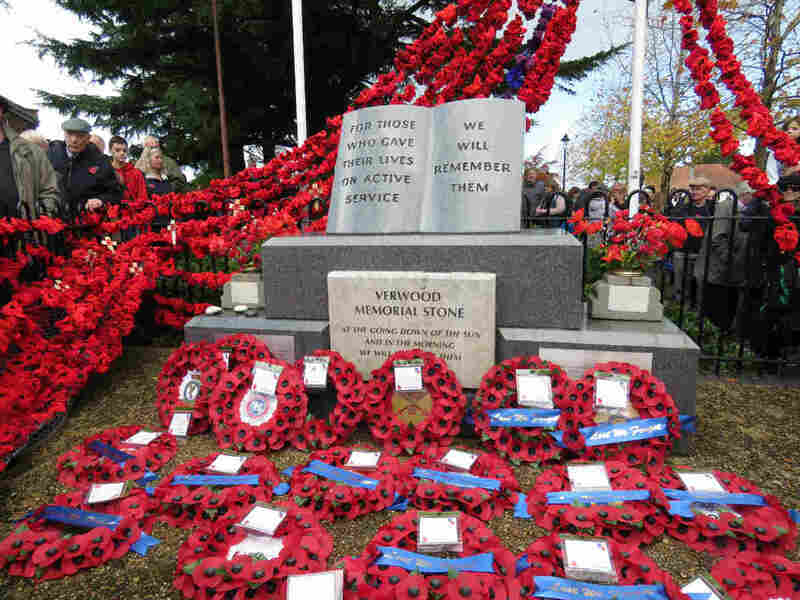 In Verwood, where over 2,000 poppies had been knitted by local people to make this year’s Remembrance service extra special, hundreds of people gathered for the two-minute silence at the Memorial Stone on Ferrett Green. Many more lined the roadside after the green became packed. Following a moving service, Verwood Town Council thanked residents for knitting the poppies, and Irving and Sons Estate Agents for providing the wool for the community event organised by Clive Groves and Verwood Rotary Club. Donations of £1,000 were made to the Royal British Legion by residents. Services in the area were extremely well-attended as young and old gathered to remember those lost in conflicts throughout the world during active service.